•	Some offers are only going to ever be made available to free email newsletter subscribers. These kinds of deals will be sent out on a weekly basis (and sometimes more frequently than that), with special discounts usually good for anywhere between 10% and 25% off but sometimes even more than that. Many of these deals are time sensitive and limited in nature, so move quickly to make the most of them. •	Special offers are going to be found in the SALE section of the EyeConic website. Visitors can take advantage of up to 50% off for more on merchandise here. •	The homepage of the EyeConic website is home to the most current and up-to-date promotions available from EyeConic. Check back regularly to find out about special deals and offers as they become available. 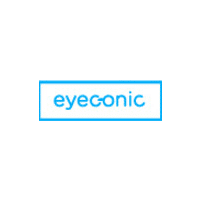 Eyeconic is an online optical retailer. Signing up for their newsletter can give you the opportunity to save ten percent on your next order. In terms of eyewear alone, you can shop for eyeglasses, men’s eyeglasses, women’s eyeglasses, and even kid’s eyeglasses. Sunglasses for men, women, and kids are also available. Contact lenses from some of the leading names are available, including Acuvue, Air Optix, Bioinfinity, and Dailies. You can also shop according to specific brands, such as the Calvin Klein Collection, Chloe, Cole Haan, Dragon, Etro, Nike, and many more. You can also search for professionals to help with eye exams and adjustments. For most up to date offers check out Eyeconic on Facebook and Twitter or contact Eyeconic Support for any questions.